In 2011, the people of Syria finally said ‘no more’. They’d had enough of the awful dictator Bashar al-Assad. So they rose up in a revolution. It should have been a victory for freedom. But it went wrong – and plunged the country into years of civil war. 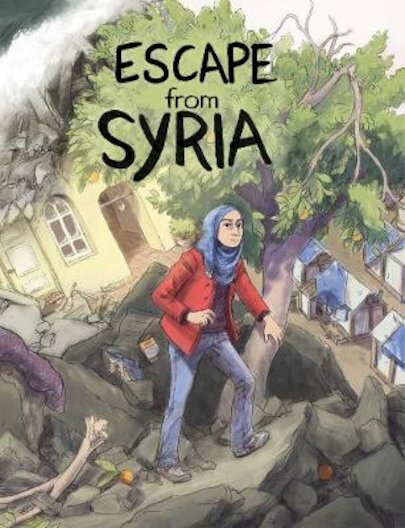 That’s the backdrop to this graphic novel: the story of an ordinary family of four from Aleppo. When a bomb strike destroys their home, they have no choice but to run for their lives. From the wretched refugee camps of Lebanon to jihadi militants and ruthless people-smugglers, they face all kinds of dangers. How will they survive?